Safety is your family’s number one concern for the summer. With a removable mesh pool fence from Safe Defenses you will have the most popular safety product used by homeowners everywhere for swimming pool safety. These mesh fences can easily be removed and thus are extremely versatile. Pool fences provide an extra barrier between your kids and the swimming pool. Fence poles are made of aircraft grade aluminum and the mesh is strong and virtually indestructible. The removable mesh swimming pool fence is perfect for a family with children as the fence tension prevents children from being able to remove the fence themselves. Also, since there is nothing for them to put their feet on to support them and help them over the fence, this is the #1 safety choice for your little one. Our mesh fences are the absolute strongest and most tested materials and components in the industry. Under normal circumstances, our fences are not going to bend or break or tear when your little one starts exploring. 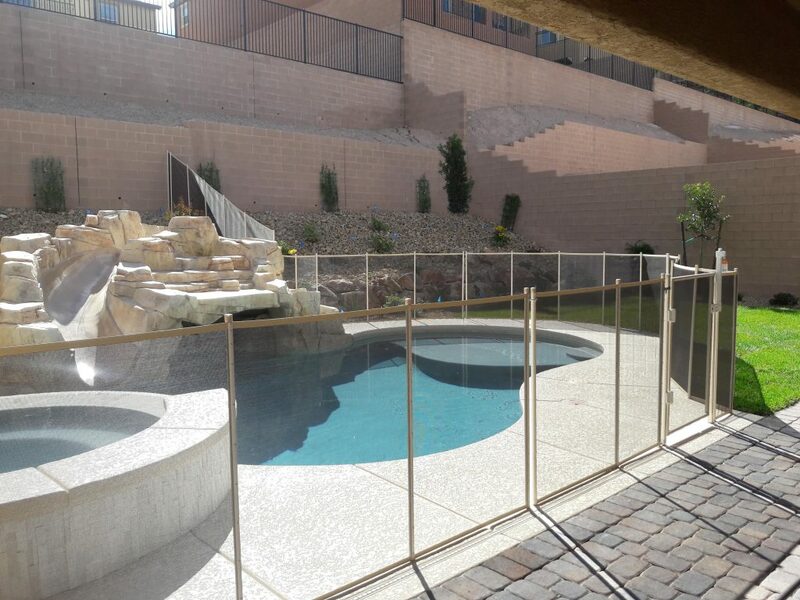 The mesh pool fencing from Safe Defenses are easy to use and fully removable. Having a party on the deck that once had your pool fence? Roll the mesh pool fence up for easy storage and we even include deck plugs to cover the holes that appear in the deck due to the installation of the fence. Your backyard can be safe for when the grandchildren come over but perfect for when the little ones aren’t around and you don’t want the mesh fence any longer. Fully removable and easy to install! Why Choose Mesh Pool Fencing? The cost, versatility, visual appeal and durability are just a few reasons of why the convenient removable mesh pool fencing is the number one choice for residential households worldwide. The safety that a mesh swimming pool fence will provide to your loved ones and anyone who has access to your backyard is immeasurable. By having a mesh pool fence from Safe Defenses, you are providing an extra barrier between your loved ones and the swimming pool. 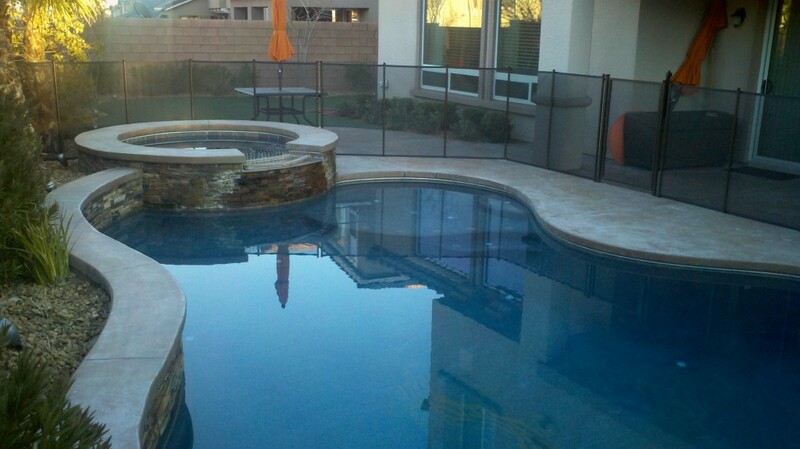 All mesh pool fences include installation and materials and is back by a manufacturer lifetime warranty. A removable mesh swimming pool fencing from Safe Defenses is sure to provide your home safety, security and peace of mind knowing that all little ones are safe this Summer season.